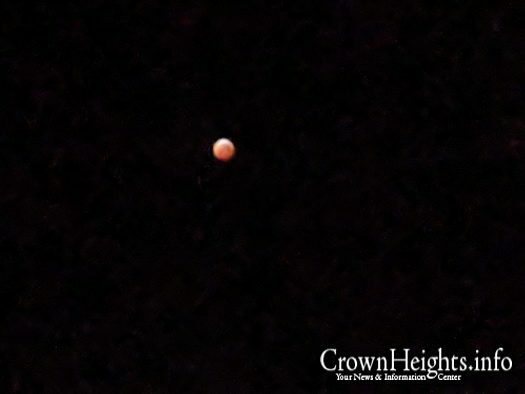 Last night, a few minutes after 9:30pm, a rare lunar eclipse began. 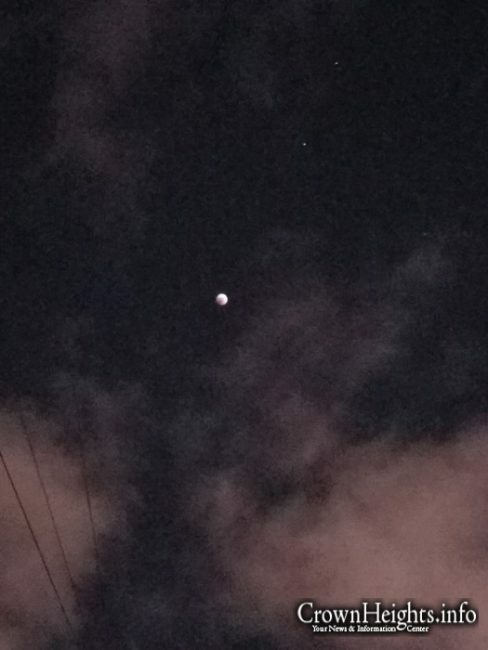 The lunar eclipse, which covers the moon temporarily, left it dark. Those outside braving the cold were able to take photos of the phenomenon. 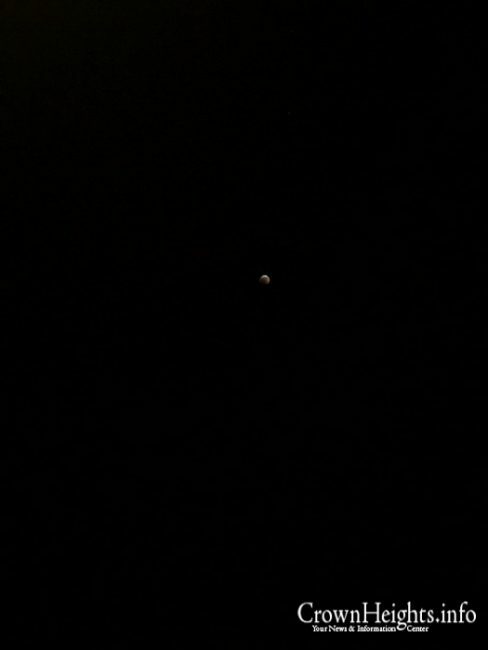 The eclipse lasted for hours, only fully ending a few minutes before 3:00am. Is There a Brocho to Say When We See An Eclipse? 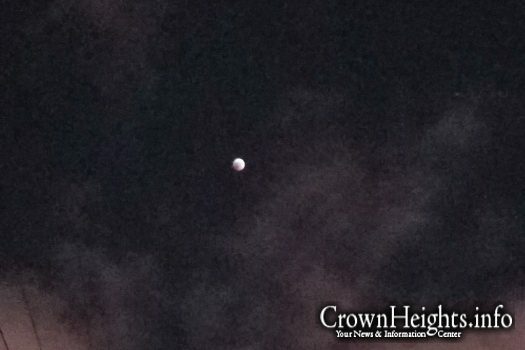 We witnessed a lunar eclipse in Eretz Yisroel this past summer as well. As Yidden are compared to the moon – it makes one contemplate on this phenomenal event and try to learn positive and comforting lessons. 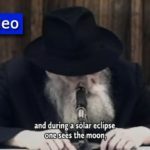 On a related issue, Dr Jeremy Brown Director of the Office of Emergency Care Research writes about a solar eclipse and disputes the Rebbe’s opinion. 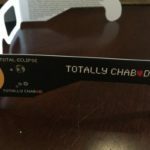 I’ve just read your interesting article on eclipses (http://www.hakirah.org/Vol23Brown.pdf) which includes your dismissal of the explanation of the Lubavitcher Rebbe of blessed memory and I wish to share with you my understanding of the Rebbe’s opinion. 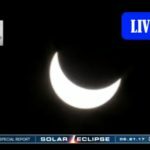 My understanding is that although the eclipses are predictable and precise, when God “shows” an eclipse to those cognisant of their meaning (as the Rebbe writes in the letter you refer to but inaccurately reference [Igros Kodesh 15:1079 should be corrected to read Igros Kodesh 15:5579]), He means to convey a message. If however the phenomenon is clouded (pun intended) from the sight of he who is aware of the meaning behind these occurrences, then no message is intended. Weather is not only (accurately and precisely) predictable (as you admit on page 7) but can be altered in numerous ways including, but not limited to, (good) actions, prayer and (in a more down-to-earth manner) through care of the environment. [No doubt you have studied Tractate Taanis and you are aware that clouds sometime appear “out of nowhere”.] Therefore, if this person “sees” an eclipse, he knows to take a message from on High. If Hashem obscured the eclipse, then he knows not to take a message. However it is a well established fact that a Brocho is not recited when one is informed that something is about to happen. One does not recite the Brocho Dayan Ho’Emes when he hears that his father is going to die soon. This is true even if the “bad news” is inevitable; all the more so is this true when the “bad news” can be avoided through Teshuvah and good deeds. This was the Rebbe’s point. Your question on page 9 regarding the difference between the suitability of a Jewish marriage during a solar eclipse and the unsuitability of such a marriage during a lunar eclipse (and fasting…) is answered with the statement in Tractate Sukkah folio 29 that (only) a lunar eclipse is a bad sign for Jews while a solar eclipse is a bad sign for the nations. Best of luck in your endeavours to help mankind recover and making this world a dwelling place for the Almighty down below. P.S. There are many other teaching of the Rebbe that were misunderstood and questioned by scholars pursuing truth. One such example is the Halachic dateline and its affect on one travelling internationally in terms of shifting the day his Yom Tov of Shavuos falls out. This crystal clear concept was misunderstood by many, including Lubavitchers, and this lack of grasp resulted in the unfortunate dismissal of his solid viewpoint. But we can leave that for another time. 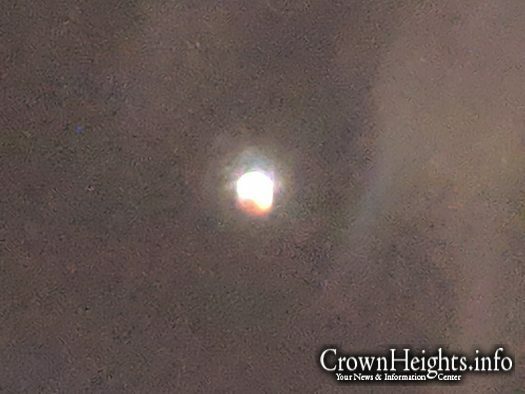 The blood moon is spoken about by the neveim as being a sign we will see right before moshiach comes. We certainly have had a lot of blood moons lately. Also the plagues of mitzraim are to return right before moshiach. Many rivers have turned red, there was a plague of locusts in mecca when we read about it the the torah, there was hail mixed with fire lightening and the hail killed cattle. 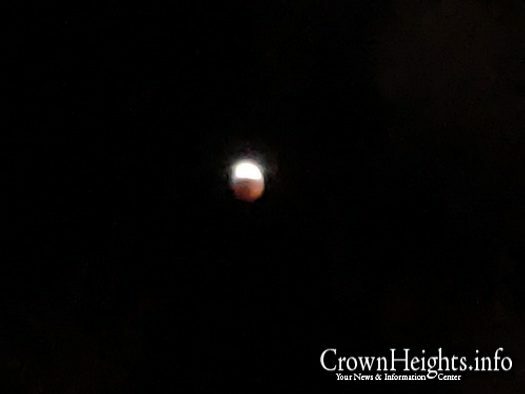 The rebbes view of a lunar eclipse was that its a bad sign for jews. someone seeing it is in need of tshuvah. Hashem made sure who would see it so dont feel bad if you were not successful in getting to see it as it was better for you that way. Whether this eclipse is in fulfillment of that prediction – dunno. But the bottom line is that we need that יום ה’ הגדול והנורא, the coming of Moshiach, without further delay.